How can training providers turn the challenges of the Apprenticeship Levy into valuable opportunities for the year ahead? It is forecast that the Apprenticeship Levy will raise £2.7 billion in 2018-19. In theory, that's a minimum of £2.7 billion that employers could access to spend on apprenticeship training with one or more of the c.2,500 training providers on the Government's registered list of training providers (RoATP). Although only c.2% of employers pay the levy in the UK (which equates to around 19,000 companies), it is estimated that at least 60% of employees work for an employer who pays the levy. And the incentives to spend are there, with additional monthly top-up funds, fund expiration dates and co-investment support for non-levy paying employers. In the public sector, apprenticeships are a requirement. All employers with 250 employees or more in England must employ new apprentices amounting to 2.3% of their headcount each year. It's an exciting time for providers to be offering apprenticeship training: in theory. The reality is that the number of new apprenticeship starts is not in line with the numbers needed to reach the Government's objective of 3 million by 2020. In the first quarter of the 2017/18 academic year there was a 26.5% drop in the number of apprenticeship starts compared to those reported at the same time in 2016/17. Another concern is that, according to the CIPD's 'Assessing the Early Impact of the Apprenticeship Levy' report, over a fifth of employers surveyed still don't know whether they're liable to pay the levy or not. However, as with as with any major new government scheme these things take time. Apprenticeships present the extra challenge of requiring a rebrand after decades of being undervalued. The CIPD has recommended that the government should develop an awareness-raising campaign to ensure employers of all sizes understand the benefits of quality apprenticeships and the support available to implement them, which would help the system pick up momentum. The promising news is that there have been 67,200 levy supported starts since the introduction of the Apprenticeship Levy. According to the Education and Skills Funding Agency a total of £80 million was paid for learning from employer levy accounts for 2017, based on the December 2017 return from training providers. This excludes any additional co-investment, uplifts and additional payments. It is also interesting to see that as of November 2017, 12,200 Apprenticeship Service Accounts were registered and over 93,000 commitments were entered into the apprenticeship service. Of these commit- ments, 39,000 were for apprentices aged 25 and over, 38,800 were for intermediate apprenticeships, and 40,600 were for advanced apprenticeships. This indicates that employers are beginning to invest the levy in development for staff at higher levels, which, in the longterm is a necessity for the saturation of apprenticeships, and indeed the levy. Even more promising, the majority (73%) of levy-paying organisations expect to use the Apprenticeship Levy to either develop or expand an apprenticeship programme. From the employers we’ve been speaking to, it is clear that more knowledge is required before significant movement can happen. Many employers need more time to implement a strategy for their levy spend. For some, however, apprenticeships are already in play. According to our survey, 14% of training providers are on the RoATP and delivering apprenticeship training. A sizeable 22% are planning to get on the register of 2018. Of this total number of providers who intend to be delivering apprenticeships in 2018, nearly 60% predict that up to 20% of the year's turnover will come from apprenticeship training. 18% predict that apprenticeship training will make up 21-40% of their turnover in 2018. These results encompass a fair spread of both smaller and larger-sized training providers, which are encouraging projections for the relatively new levy system. The Apprenticeship Levy doesn't just impact the training industry, it affects the education system as a whole. 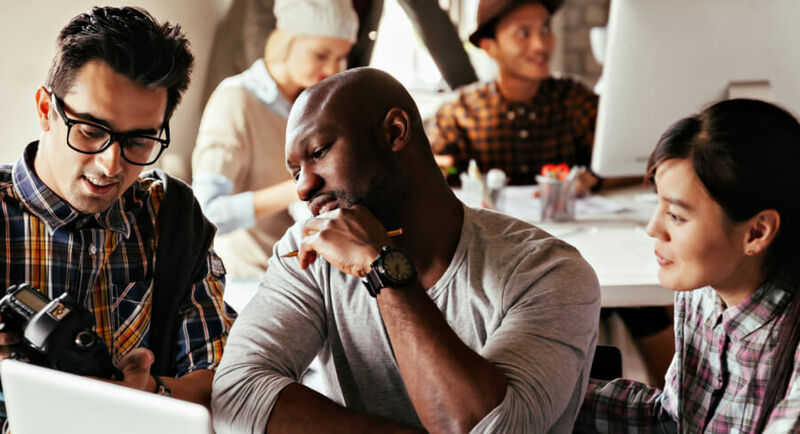 As such, many further education institutions are offering a range of higher apprenticeships targeting both individuals and businesses looking to utlise the levy. As it stands, around 16% of the RoATP is made up of universities and colleges, although this number is growing steadily. Around 10% of the RoATP is made up of employer providers. This indicates large organisations are considering (if not already) investing their levy funds internally to deliver their own apprenticeship training to staff. While this is of course a concern for providers, it is unrealistic to expect employers to be able to deliver all of the apprenticeship training they need internally, at least not for the forseeable future. They are likely to need to partner up with main providers in order to deliver areas of training they can't fulfill. Getting employers to spend their levy funds is harder than it sounds. 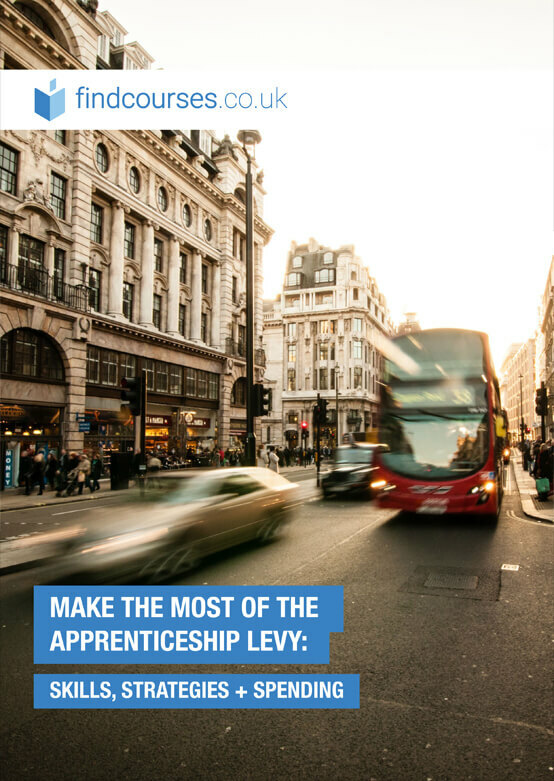 It is no secret that some employers are absorbing the levy as just another tax, in order to eliminate the costs and complexity involved in setting up apprenticeships and to swerve the restrictions of the 20% off-the-job rule. This is particularly true of levy-paying SMEs, where over a third report that they will write the levy off as tax. The CIPD has recommended that the government invests in boositng SME engagement with the levy. And the system certainly needs more flexibility in order to encourage employers to utilise it. While nothing has been confirmed, the 2017 Autumn Budget did indicate that the government may introduce more flexibility when it comes to the off-the-job rule. This could ease one of the biggest objections employers have to taking on apprentices or upskilling existing staff, and pave the way for more levy utilisation. A Wider Impact on L&D? A further concern for providers is that employers will try to ‘shoehorn’ more – or all – of their learning and development activity into apprenticeships, in order to utilise the levy. According to the CIPD survey, 46% of employers think that their organisation will be encouraged to rebadge current training activity as apprenticeships. Although this is concerning, there is not enough data to illustrate the reality of this prediction. Employers must follow strict guidelines to access levy funds, and the effort required to create apprenticeships for every L&D need would not be practical or sustainable. Not to mention the fact that standards have not yet been created for every role and cannot exist for every L&D need. However, the CIPD has advised the government to consider broadening the Apprenticeship Levy into a wider training levy, which would then change the game entirely. 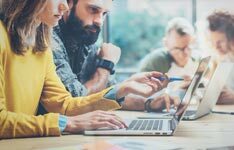 The findcourses 2017/18 survey revealed that 34% of L&D departments predicted a budget increase in 2018 and 40% predicted it would stay the same. So while L&D budget cuts remain a significant concern for training providers, it seems likely that investment in training will rebalance throughout 2018. What can you do to Stay Competitive? Employers have also indicated that they are looking for holistic services from their apprenticeship training providers. Such as, a provider who can help the company source apprentices, deliver the training, and offer consultation on their levy strategy and spend. If you have the potential to deliver extra services, this may well give you the upper hand. Working with smaller, non-levy-paying employers may not result in major, country-wide apprenticeship contracts, but non-levy-payers make up the bulk of UK business, and this should not be overlooked. Apprentices from smaller companies could make up a cohort for day/block release training, culminating in more sizeable payoffs. There is also some concern about the time it takes to receive government co-investment funds. The reality is this: the government will pay 80% of the agreed price, up to the funding band, in monthly instalments to the training provider. The government will then pay the remaining balance of the agreed price, up to the funding band, when the apprentice has undertaken all learning that is relevant to the apprenticeship. So while the individual payments may be smaller, the cumulative totals may be worth the investment. For training providers, now is the time to prepare for these emerging opportunities. Deliver more standards. Market your services. Hone your expertise and offer consultations. Forge partnerships. Adapt to employer needs. And above all, stay optimistic. The levy may be moving slowly, but when it picks up speed, you need to be ready. Get your free copy of the latest Apprenticeships statistics from our Industry Trends UK Training Report 2018!